WebPathLab offers a PAY-PER-REPORT fee schedule initially designed for small volume and start up labs. 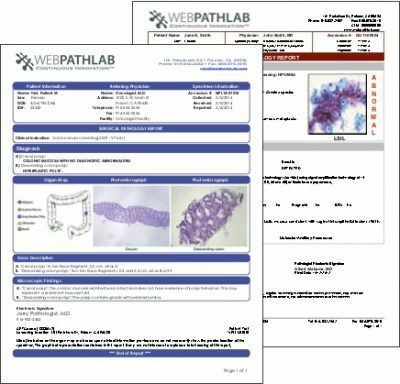 As the number of reports grow, the customer has the option to upgrade to the Licensing fee schedule which has an unlimited number of reports for a flat fee per pathologist. The PAY-PER-REPORT fee schedule also includes a monthly fee for server co-location at a HIPAA compliant data center, server maintenance, hardware upgrades, software technical support, and free updates of the solution.